With so many different types of siding that is now available a home owner has loads of choices for siding for their homes. 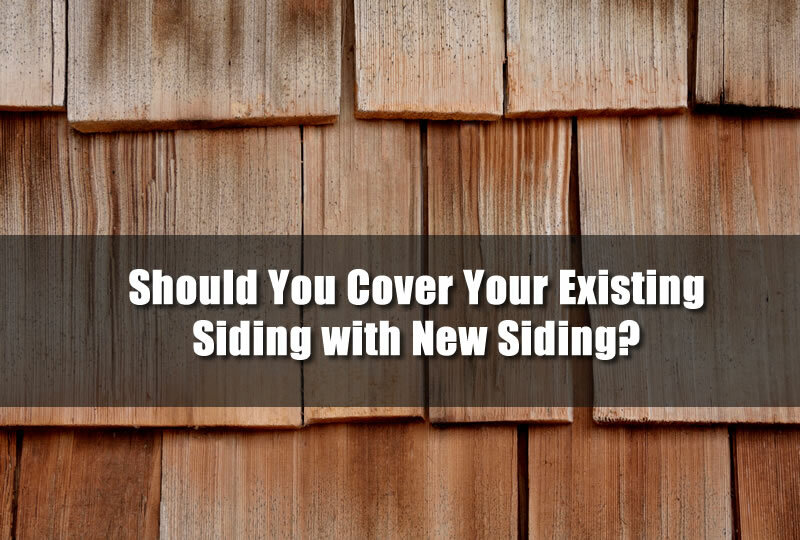 Choosing the best siding may mean you need to remove the old siding from your home in some cases and in other cases, you may not. I’ll take a deeper look at installing new siding on your home and if you should simply cover your old siding or remove it and get a Michigan siding contractor to install the new siding. Should You Cover Your Existing Siding with Vinyl Siding? The siding on your home may be aged and dated but just because it’s lost it’s luster doesn’t mean it isn’t still protecting your home. In fact, many times home owners will tend to replace or cover siding even when it’s performing as it should it just doesn’t look that great any more. Typically, most home owners are faced with the decision of covering the old siding which is known as re-siding or completely removing the old siding and then installing the new siding. While both methods will leave you with a home wrapped in new siding there are some key differences that you’ll need to know. Adding vinyl siding to your home is a great and economical way to update the look of your home that is very affordable. It’s especially affordable when it placed over existing siding because the labor of removing the old siding is not needed. There are a few things that you’ll need to know when doing this however. The first is your moving the siding of the house about 3/4 of an inch outward. This extra siding may make windows and doors look a bit out of place and even recessed into the wall in most cases. There are trim pieces that can be added that will eliminate any water damage however. Also if the underlying wall is not uniform it may show up in the siding as well. This usually happens on walls with wooden siding that is not uniform or hand split such as cedar shakes. When the old siding is removed from your home the home siding contractor will inspect the wall and insulation to ensure it is okay. If there is a problem it can be repaired before the new siding is added. This is one of the major advantages of removing the old siding simply because it allows you to inspect and repair any problems such as termite damage or water damage. If there is a problem it can be repaired before the new siding is added. This is one of the major advantages of removing the old siding simply because it allows you to inspect and repair any problems such as termite damage or water damage. Vinyl siding is the most common type of siding that is used in re-siding. It works really well when being placed over almost any surface. But if you’re considering using another type of siding for instance, fiber cement siding or James Hardie siding you may have the same options. This type of siding can be placed over some existing siding but most will not be good. Just like vinyl siding you’ll need to ensure the siding surface is completely flat either by the old siding or by adding slats to the wall. Any imperfections in the wall will almost always show up in the siding. Covering flat walls such as T-111 or Stucco siding is usually a prime siding for re-siding. Since the material is relatively flat the new siding can be installed easily and this also adds an additional layer of security for the siding. Talking with a siding contractor in Michigan can give you a better idea of just what you’ll be facing on your home. In fact, the cost difference of removing or re-siding the home may be small. It’s best to get an estimate of how much the cost is for both jobs and then compare them. You can get a free siding estimate if you live in southeast Michigan from Home Pros Plymouth. 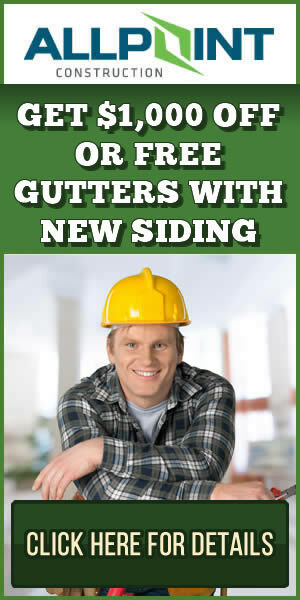 A fully licensed and certified siding contractor in Michigan.